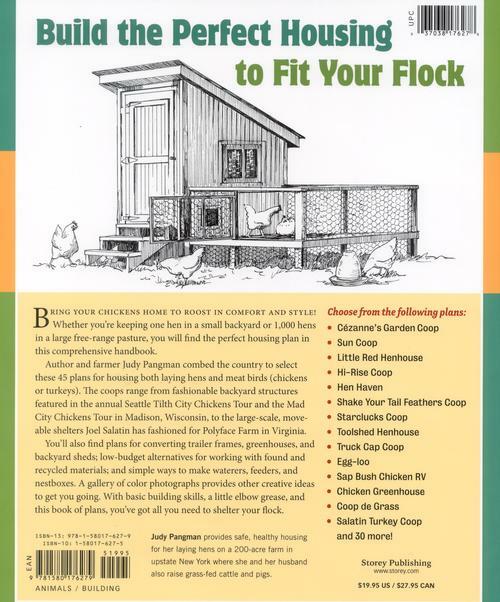 Just like houses, chicken coops come in all sizes and styles to meet the needs of every chicken family. 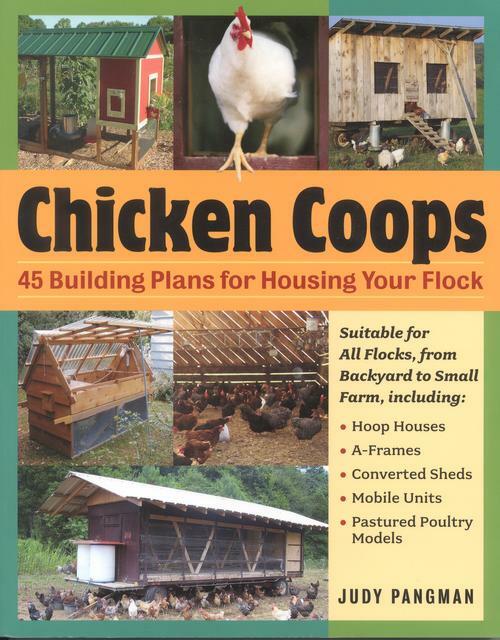 Here are how-to drawings and conceptual plans for 45 coops - from strictly practical to flights of fancy - guaranteed to meet the needs of every chicken owner. A 16-page color section shows detailed photos of many of the featured coops. She and her husband raise grass-fed beef, pork, and eggs on their 200-acre farm in upstate New York. They are committed to sustainable agriculture, raising their animals naturally and without cruelty, and promoting a safe and healthy local food system.